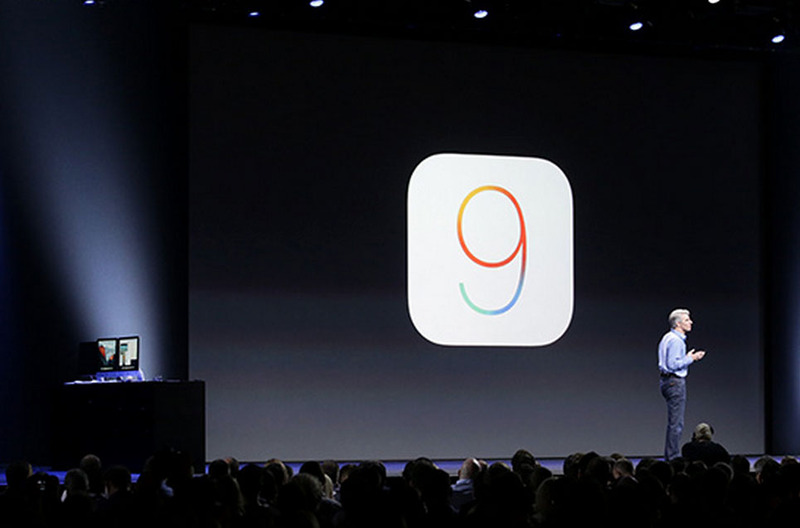 Apple’s iOS 9 Feature Announcements – Raising the Bar or Playing Catch-Up? Apple’s WWDC keynote yesterday morning included loads of announcements involving the new versions of OS X, iOS, and the Apple Watch’s watchOS. Over the last couple of years as Apple has updated its platforms, you tend to see Android enthusiasts giggle and roll their eyes at the features Apple shows off, because Apple talks about everything they make as if it were truly revolutionary or something no one else in the tech space had done before. With the unveiling of iOS 9, we witnessed the same song and dance, except Apple seems to be a lot more self-aware these days. They make fun of themselves more than ever, while also trying to improve their products without all the excessive ego and grandstanding as if they were first. And don’t get me wrong, there is still plenty of ego, it just seems to have toned down within the last year. Or maybe it’s because Phil Schiller didn’t take the stage yesterday. Whatever it is, Apple has become somewhat less obnoxious. 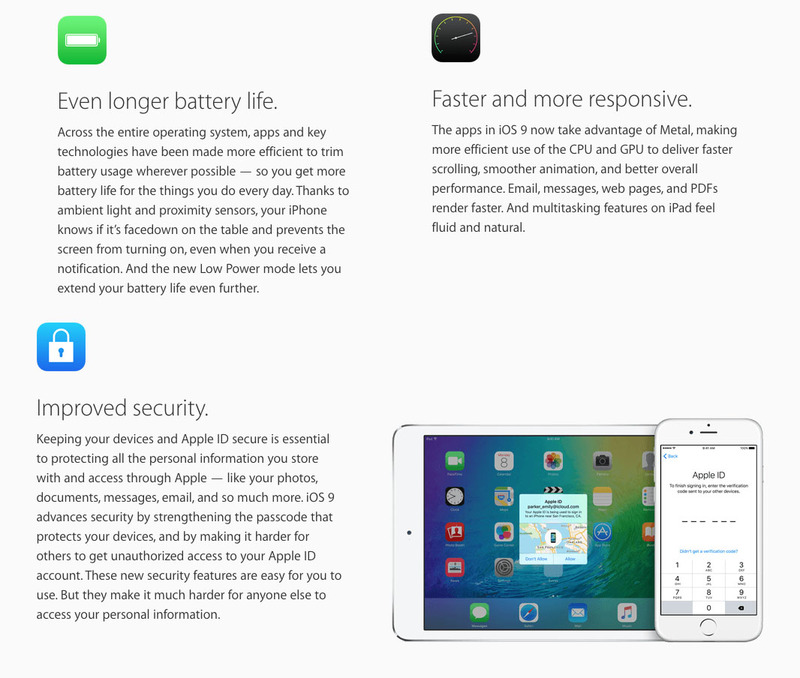 All of that aside, Apple did talk through a bunch of new features for iOS 9. Some of it was new. Plenty of it was stuff you have seen before. So let’s talk about it and see if any of it matters to you and I, the Android user. It’s a news app. 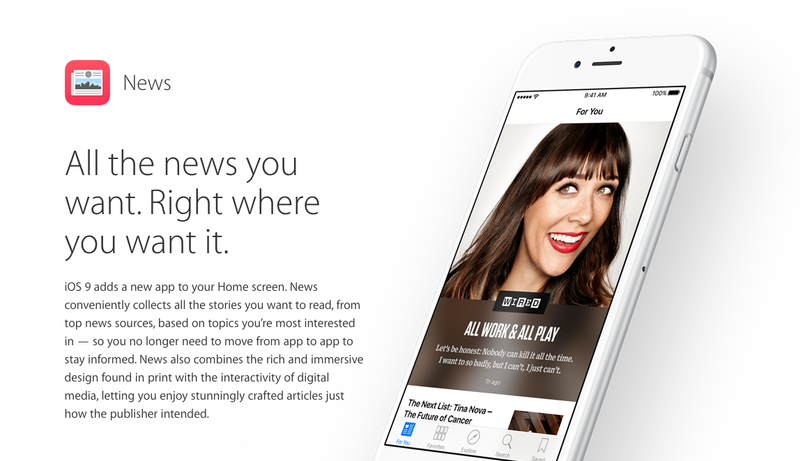 How excited can anyone really be over a news app? Apple’s tries to be unique in that the app supposedly looks great and shows you immersive stories from top news sources, based on topics you are most interested in. The more you read, the more it tries to learn from you and give you better suggestions for reading. It has been fine-tuned for either phone or tablet, includes photo galleries and videos, and is interactive. Look, there are lots of news apps out there, especially on Android. Go try Google’s Play Newsstand app and tell me it isn’t one of the most fluid and gorgeous apps you have ever used. It also has been optimized for phones or tablets (or any screen), uses incredible transitions, allows you to customize the news you get, subscribe to individual sources, and read through your magazine subscriptions. Flipboard is also still a thing. So yeah, good news apps are easy to come by. Apple’s might be good, but news apps aren’t exactly an area that anyone was asking to be fixed. 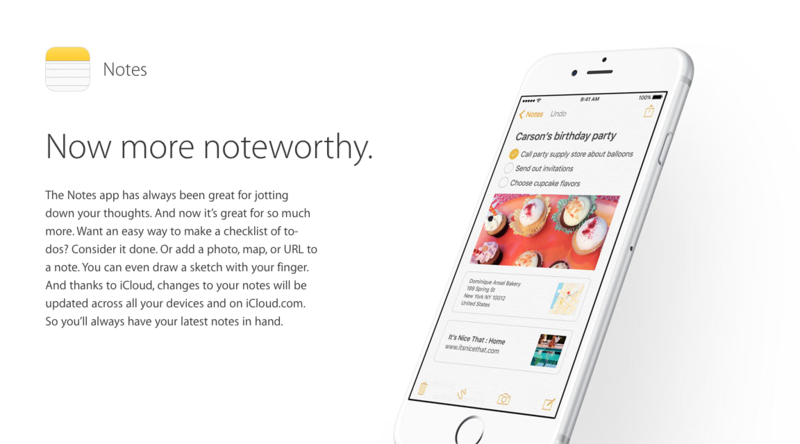 The new Apple Notes app has been given a new lease on life with new features like, photos in notes, checklists, and URLs in notes. Wait, seriously? This app had none of that previously? Those seem like super standard note-taking features in 2010, let alone 2015. The app does finally sync everywhere, thanks to iCloud integration, lets you doodle in white spaces, and can be launched from new places through the Share button for quick notes. It’s a note taking app. Like the News app, there are dozens of good ones like it. Google’s Keep, which is kind of a lousy app compared to Evernote or Wunderlist, does just about everything Apple announced today, outside of the doodling. Oh, they also included nearby recommendations or places you may want to shop or eat. Google gave us this in Google Maps a year ago. Apple introduced Apple Wallet today, which as far as I can tell, is just a re-brand of Passbook. The new stuff here is the fact that you can add Kohl’s Charge and JCPenney credit cards, along with reward cards for Dunkin’ Donuts, DD perks, Walgreen’s Balance Rewards, and MyPanera. 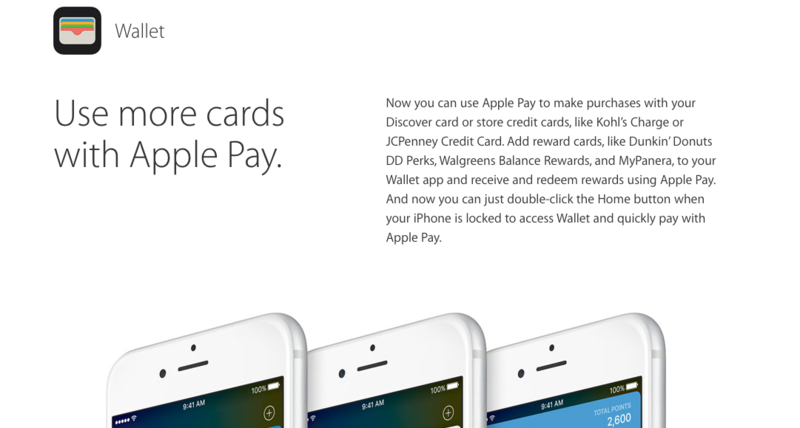 They are also adding a double-click option to launch Apple Pay when at the lock screen for quicker payments. Google Wallet does most of that stuff, but at this point, we are getting down to companies working individually with either Apple or Google to gain support in their wallet apps. Google is behind here, obviously. Also, if you want to pay for something with Google Wallet, you can just tap the phone to the terminal and it’ll quickly open Wallet. CarPlay is getting a substantial update that most importantly, allows you to connect to your car and launch CarPlay without a cable. Cables be damned! 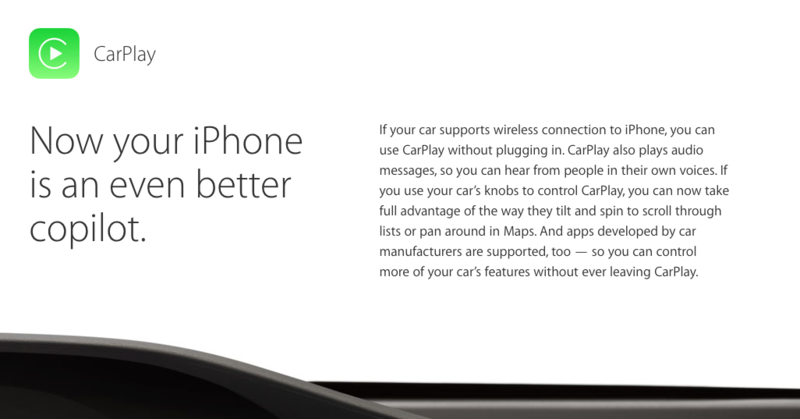 That’s huge news from a convenience standpoint, except that Apple would only say that the feature is coming in “future cars.” Also, CarPlay will play audio messages in the voices of the people who sent them, let you use your car’s knobs to control it, and allow apps developed by car manufacturers to run within it. All of that could come to Android Auto at some point down the road, but as of now, Apple has the leg up here. 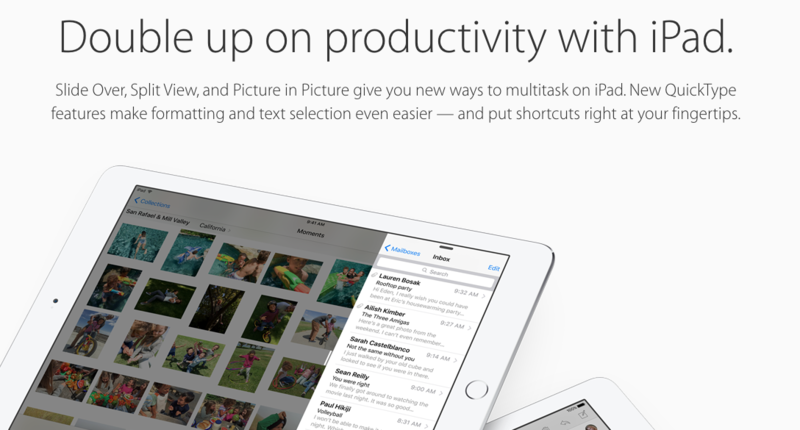 Apple is bringing multi-tasking to the iPad through a suite of new features. The first is called Slide Over, and while Apple is careful to not reveal too much about it, it basically sounds like a way to slide over an app through a notification to quickly interact with before sliding back away. With Split View, you get as the name suggests, a split view with two apps running at the same time. Finally, there is a Picture-in-Picture mode that lets you watch a video on top of whatever you are currently working on. You can drag the movie window around, resize it, pause or play, and eventually stop it. Multi-tasking has been around on Android for years through custom skins from Samsung and LG. Google, though, has yet to implement a multi-tasking feature of any sort. The Android M preview has it baked in, behind-the-scenes, in barely working form that Google won’t even acknowledge, so it’s tough to give Google credit for getting there first. But again, Samsung phones (like my Galaxy S6) can do multiple apps at a time or picture-in-picture with no issues. So multi-tasking isn’t new, but we are still waiting for Google to get with the program and create their version or at least make it stable enough to use on stock Android. 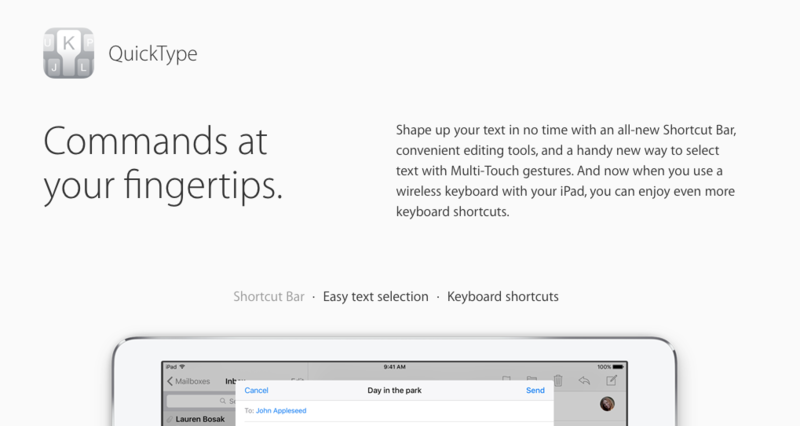 Apple improved the keyboard on iPad in iOS 9 to include a shortcut bar with user-specified shortcuts to tools (like bold, italics, underline, copy, paste, etc. ), added a two-finger gesture that turns the keyboard into a massive trackpad, and included keyboard shortcut support for wireless keyboards. I’m all for improved keyboards, especially since the Google Keyboard on tablets is pretty lousy. If there is one thing that keeps me from using a tablet regularly, it’s the typing experience. As for that gesture trackpad move, I could actually see this coming in handy when trying to select text, especially if the keyboard can instantly recognize the gesture. This could be one of those little things that makes a huge difference. The Google Keyboard is by far my favorite phone keyboard, but again, it could probably learn a thing or two from Apple when it comes to tablets. 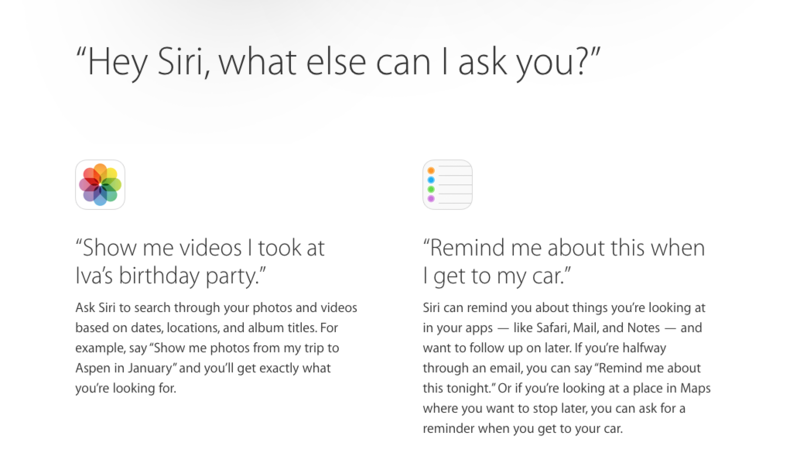 Siri, in iOS 9, is now aware of what you are doing and where you are, so it can serve you relevant information when you need it. Think of Google Now, except Apple will tell you that you haven’t sold your privacy soul to have this feature. First, you have a more powerful Spotlight search that is powered by Siri. As you search for contacts, stocks, sports, vacation spots, or attempt to calculate something, you should get better results. For those who know Spotlight and search in its current state, you probably know how worthless it is. So yeah, this is an improvement. Second, Siri and search attempt to help you automatically as you progress through a day. It could be by showing you shortcuts to contacts you are about to meet with, apps you use at this time every day, nearby places to eat/drink/shop, or news based on your location. Game changing stuff? 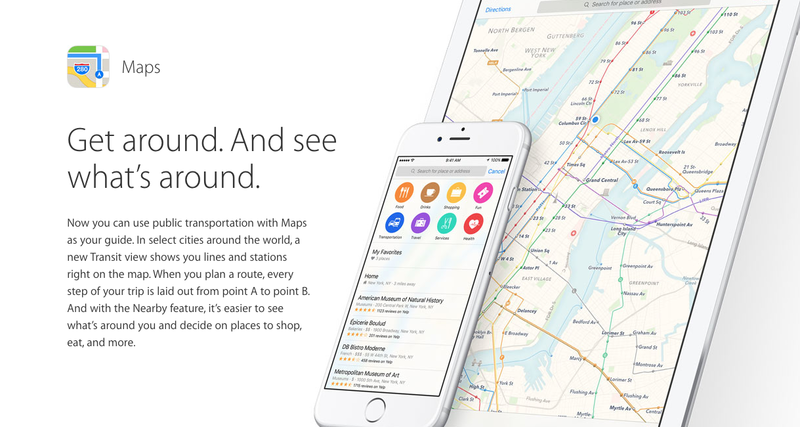 It’s pretty big and probably the biggest announcement of yesterday for iOS 9. Google Now does a lot of this stuff now, as does Gmail and Google Calendar. Google Now on Tap will do the rest in Android M. Apple still has a lot of catching up to do with Google in terms of the AI-contextual-aware-we-know-you-better-than-you department, but this is a major step forward for them. Apple also announced improvements to battery life (up to an hour longer on your iPhone), performance improvements, and new security measures, like 2-factor authentication. Google improves these with each release, just like every software company should do with new versions of their apps or firmware. If anything, WWDC and Google I/O are reminders that the smartphone world is quite mature. No longer are new versions of mobile operating systems guaranteed to be the big jumps that we once saw. Each company is now targeting problem areas and crossing off features here or there that they have yet to implement but are well aware of. There are few differences in what Google and Apple are doing these days, it seems. They squash bugs, improve this or that (usually security, battery life, and performance), and hopefully introduce the next big thing every other year, like Google Now on Tap or the new Siri.